The inaugural Red Fern Acoustic Instrumental Competition, Saturday, April 28 will feature both Open and Youth categories in fiddle, mandolin and guitar. For a $5 entry fee youth can compete in any group: 10 and under, 11 and up or for $10 in the Open, for everyone. Judges include Byron Berline and band members Thomas Trapp and Greg Burgess, along with Dr. Carl Farinelli, Tim Crow, Jeanine Loubier, Ben Hardcastle, Rachel Farinelli, Lou Kelley, Haley Stocks, Jerry Bigfeather, Wes Combs, Daniel Franke, Bobby Brewer, Bill Perkins and Robby Webb. The youth competition ages 10 and Under will be held at the Branch outdoor Stage beginning at 10 a.m. , Youth ages 11 - 17 at Norris Park at 10 a.m. The Open competition at the Northeastern State University Jazz Lab, at 10 a.m.
Olen Davis and the Travelers at 7 p.m.
Plein Air Red Fern begins on Thursday, April 26 hosting regional artists to capture the history, landscape and people of Tahlequah in oil, watercolor, pastel and acrylic paintings, available for purchase and viewing at the Collectors and Artists Reception and Competition, Saturday, April 28 at 3 p.m. at the ACT Gallery in Cort Mall. Meet and Greet at Cherokee Heritage Center - show badge to tour the grounds and museum - eat @ 6 p.m.
10 a.m. 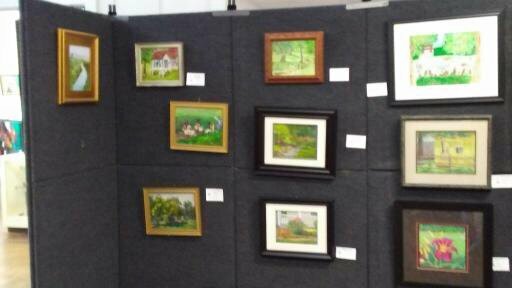 Paint the Park at Norris Park with Red Fern Plein Air 2017 Best of Show winner Julie Hayes. 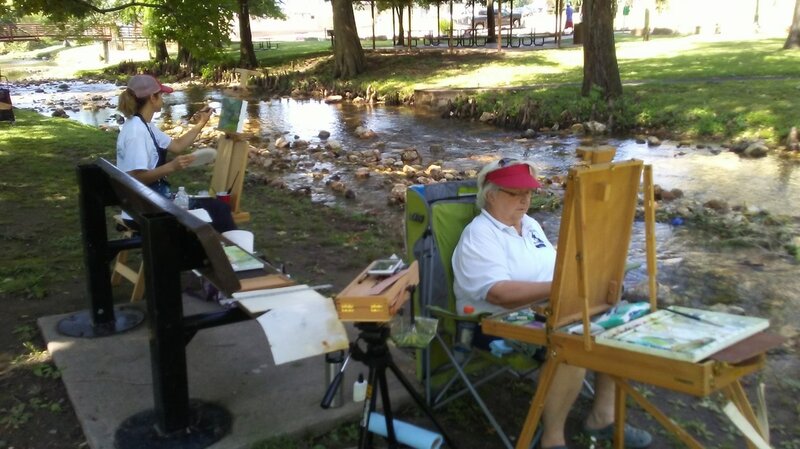 This is a group painting to show what plein air is to visitors of Red Fern Festival. Trun in completed art or best piece at 1 p.m. at Art Gallery framed and ready to hang and be judged. -which support area arts and artists, contribute to quality of life and enhance economic development. Artists are invited to capture the nuances of light as they play across the people, landscapes and architecture of historic Tahlequah, home of the Cherokee Nation and Northeastern State University on April 26-28. With rolling hills of the Ozark Mountains, scenic lakes and rivers, historic architecture, Cherokee museums and Diligwi Ancient Village, and some great barns, Tahlequah is the ideal setting for plein air painting. The town has a rich history of Cherokee's and pioneers and it's a popular destination for retirees and outdoor recreational enthusiasts, from rodeos to fishing, floating or swimming, boating and hiking. 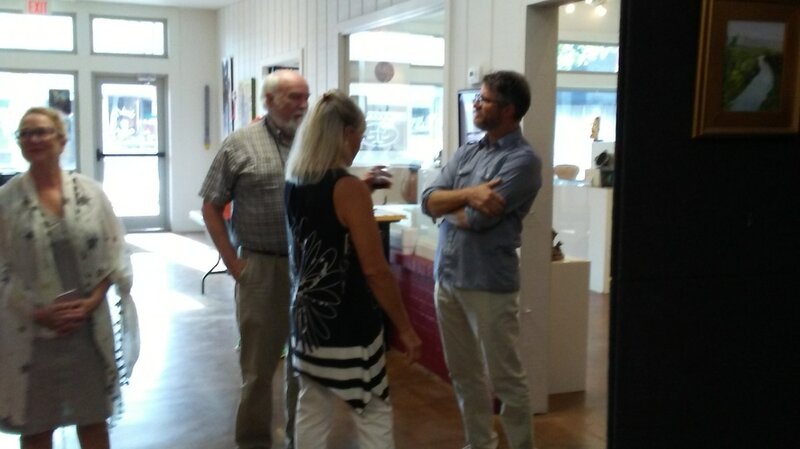 Plein Air Red Fern is hosted by the Arts Council of Tahlequah (ACT) to help promote regional arts and artists and an awareness and appreciation of plein air painting - the nuances of light at play across the people, landscape and architecture of the community. This three day event is the last weekend of April - the 26-28. the same as the annual Red Fern Festival. 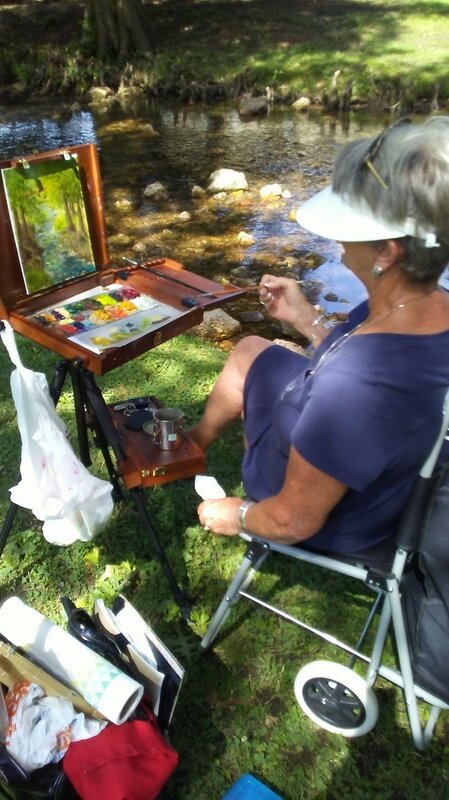 All painting's must be painted en plein air on a canvas or paper stamped at registration. Size of paintings is open to artist's choice using watercolor, oil, acrylic, pastel and/or guache. Artists can paint at any of the suggested sites or any of their choosing. All artists are encouraged to join in the Paint the Park on Saturday morning at Norris Park. Registration begins Thursday, April 26 from 8-10 a.m. at the Art Gallery in Cort Mall for $30 for three days. Artists will provide canvas or paper to be stamped. Art work is turned in by 4 p.m. framed and ready to hang at the Art Gallery. A Meet and Greet will be hosted by the Cherokee Heritage Center. Please register so we'll have a count for food. Registration on Friday, April 27 is 8-10 a.m. at the Art Gallery - have canvas or paper stamped. Sign up for group meal at The Branch restaurant at 6 p.m. (dutch but please pre-register for reservation count). Turn in art by 4 p.m. at the Art Gallery framed and ready to hang. 10 a.m. Paint the Park at Norris Park with Red Fern Plein Air 2017 Best of Show winner Julie Hayes. Completed art is turned in at 1 p.m. at Art Gallery framed and ready to hang and be judged. Artist can choose best piece for competition. 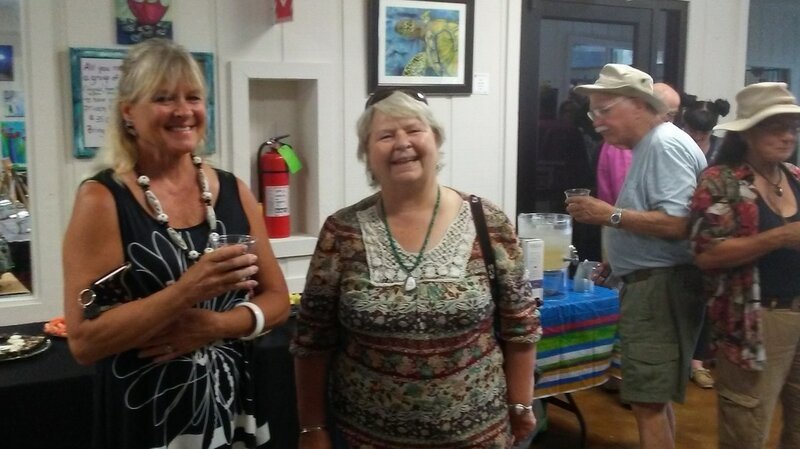 Artist Awards and Collector's Reception 3 p.m. Art Gallery. Judging will begin when art is turned in no later than 1 p.m. by Bob Martin, Sylvia Nitti and Roy Boney Jr. Prize money of $1600 is for art chosen by judges, all decisions final - 1st Place $500, 2nd Place $300, 3rd Place $200, Youth $100 and Best of Show $500. Checks will be given to winner that afternoon at the reception. Artwork is available for sale and a 25 percent commission charged by the Arts Council of Tahlequah. Payment for salels will be mailed to artist within 30 days. Art can hang through May by artists choice in the Art Gallery. Plein Air Red Fern is an open exhibition. For a non-refundable entry fee of $30 participants can register on site at the Arts Council of Tahlequah Art Gallery is Cort Mall and enjoy three day's of painting, a meet and greet, a dinner at a steak restaurant with live music (dress casual), a Saturday morning Paint the Park hosted by last years Best of Show winner Julie Hayes and a Saturday awards reception. 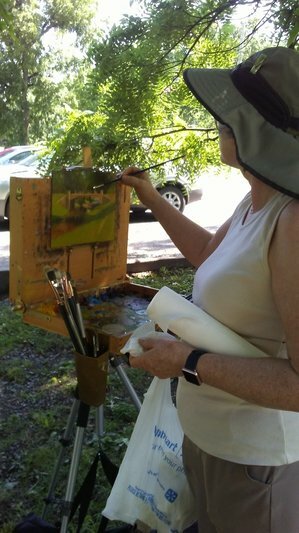 Open to all painters who appreciate a friendly community with fabulous and charming businesses unique to Tahlequah, fantastic forests and fauna, lakes, rivers and have a desire to spread the joy of plein air painting during our most popular festival, Red Fern. 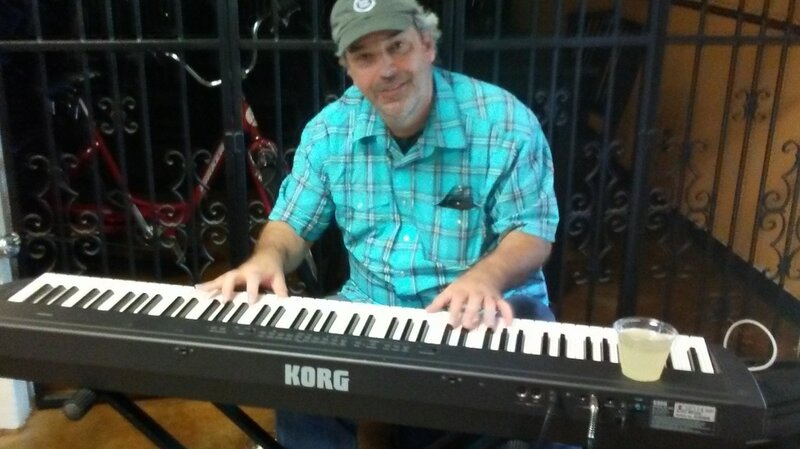 Everyone welcome to enjoy an evening of entertainment. 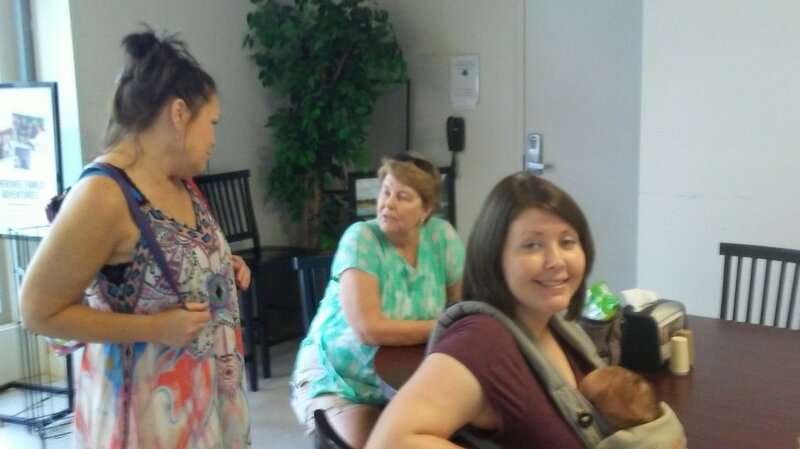 Diana Robinson, Becky Christianson, Lillian Wofford and Julie Hayes. Not pictured are Jerald Peterson and Jerry Sutton. A dozen artists from Missouri, Arkansas, Lawton and Oklahoma City, along with area artists, captured the beauty, charm and culture of Tahlequah last week in watercolor, oil and pastels during the inaugural Plein Air Red Fern 2017. 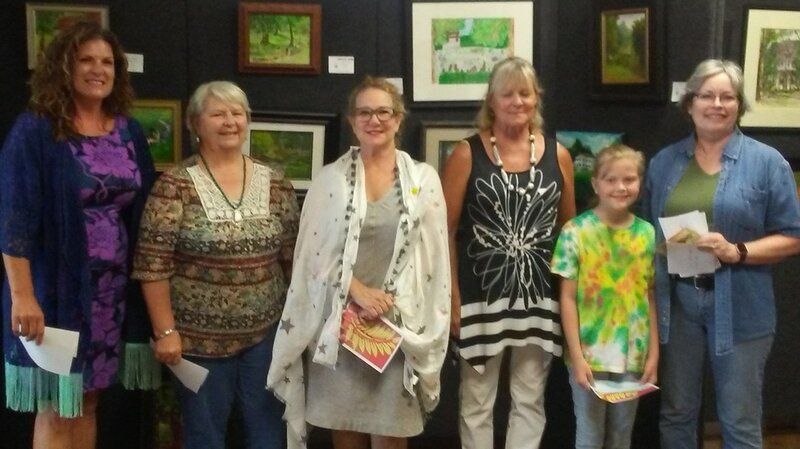 The three-day event, sponsored by the Arts Council of Tahlequah, included a welcome cook-out, artist's reception at Cherokee Heritage Center and Artist's Exhibition Collector Reception and Sale at Cort Mall on Thursday, Friday and Saturday. National Plein Air award-winning artist John Lasater demonstrated his technique by painting celebrity tv host Jennifer Loran of O Si Yo: Voice of the Cherokees. 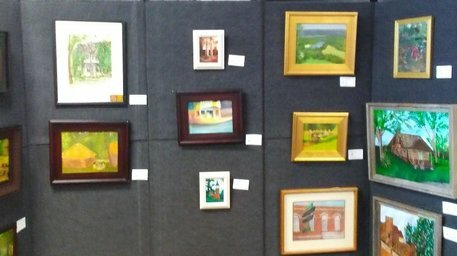 The collective show garnered almost 40 paintings for Lasater and Bruce Carter to judge. Winners sharing the $2,500 purse are Julie Hayes - Best of Show; Jerry Sutton -Mayor's Award; Amy Vance - People's Choice; Lillian Wofford - Youth 18 and Under; Becky Christianson- first place, Julie Hayes - second place, Diana Robinson- third place paint on canvas; and Burneta Venosdel - first and second place and Jerald Peterson - third place, paint on paper. Artists paintings include Town Branch Creek, Northeastern State University tower, Felt's Shoes sign, Dream Theater, Murrell Home, Cherokee Heritage Center ancient village, historic pillars and Adam's Corner. Some of the paintings, including the portrait of Loran, will be on display and for sale at the Cort Mall lobby until June 28. Most of the artists driving several hours to participate chose to take theirs home. It was the first time to visit Tahlequah for Best of Show winner Julie Hayes, of Siloam Springs, Ark.,who was, "impressed with all the beautiful scenery." 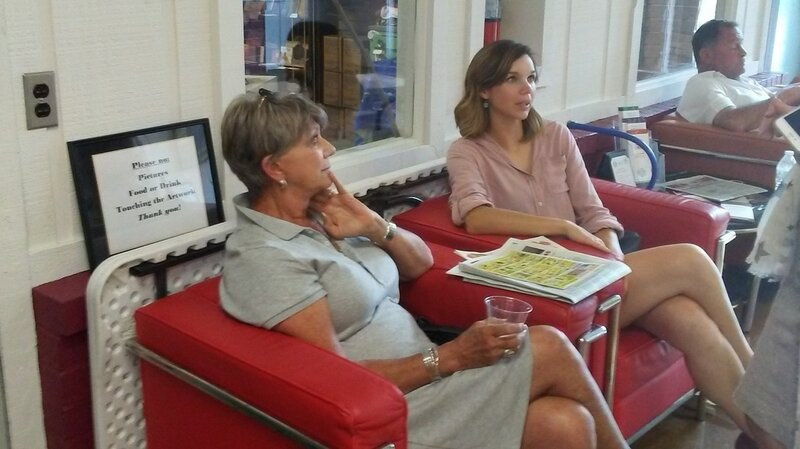 "I enjoyed meeting the artists who came and learning about the history of the area," said Hayes, "and I really liked Sequoyah City Park and the Murrell Home. I like water and am drawn to water." Hayes, who is the artist-in-residence for the Illinois River Water Shed this year, said some of these paintings may end up in a show related to that, such as the Illinois River Salon in November." Every artist has personal preferences that make painting Plein Air appealing to them. A cultural aspect is most important to Oklahoma City artist Diana Robinson. "I love cultural experiences. I know Oklahoma City is only three hours apart but there's a big difference. The landscape is amazing everywhere you look," said Robinson. "The event was well-organized and even had plans for rain." The Cherokee Heritage Center was her favorite place to paint. "The weaving ladies sitting by the stream in the ancient village was the painting that won third place," said Robinson. Felt's Shoe's sign was Cherokee artist Jerry Sutton's favorite place to paint. "It showed the town and history and it was fun to paint visually," said Sutton. 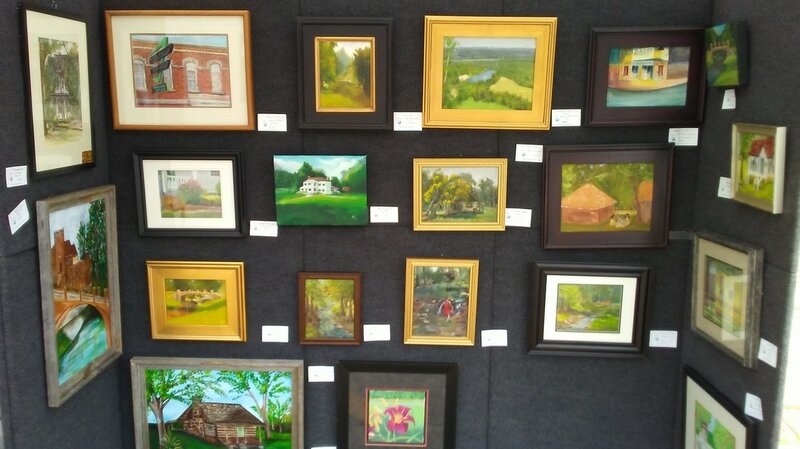 An event like Plein Air Red Fern shows people not familiar with the area what a beautiful county we have, said Sutton, "and they're surprised with the wonderful things around every corner. It promotes what's unique about this town and it's a great natural setting, perfect for painters." 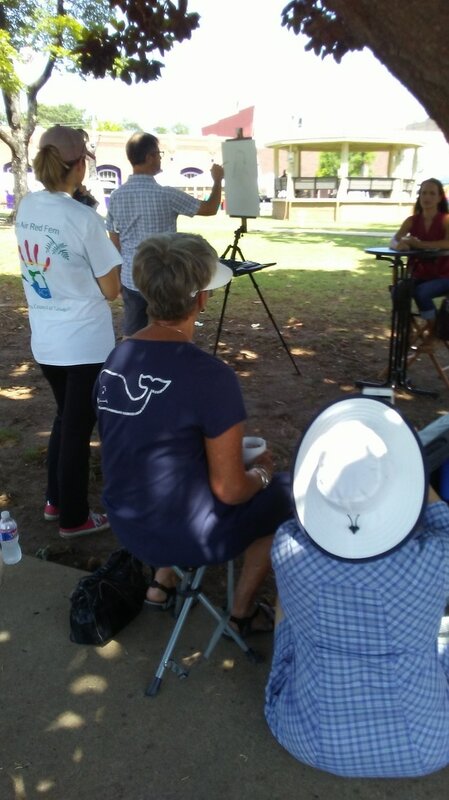 Plein Air Red Fern established Tahlequah as a viable place to hold this event, said artist Burneta Venosdel. "Plein Air artists are always looking for great places to paint. I think Tahlequah fits the bill," said Venosdel, who also hosted three of the artists and a judge at her ranch north of Moody's. "All the artists were excited and will return." What she enjoyed most was the opportunity to get together for a common purpose of painting outside in beautiful Green Country and the camaraderie. "The history of the community is now recorded and will continue to live through the efforts of this group of artists. Just another way to get the story out about Tahlequah and her beautiful tapestry of history," said Venosdel. Painting at the Murrell Home was her favorite place to paint because of the historical significance. "It has a reverence and calmness that is very special," she said. 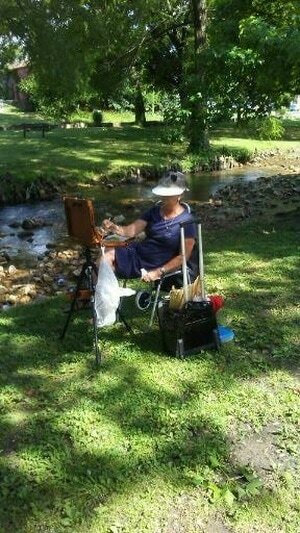 "The other place I enjoyed painting was Sequoyah City Park. 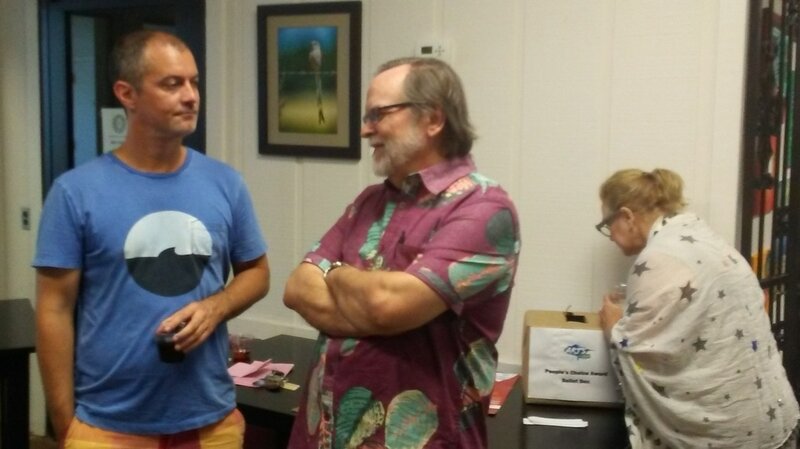 We touched lives in both places and actually had some people come by the reception that we talked to while painting. All those connections are important." 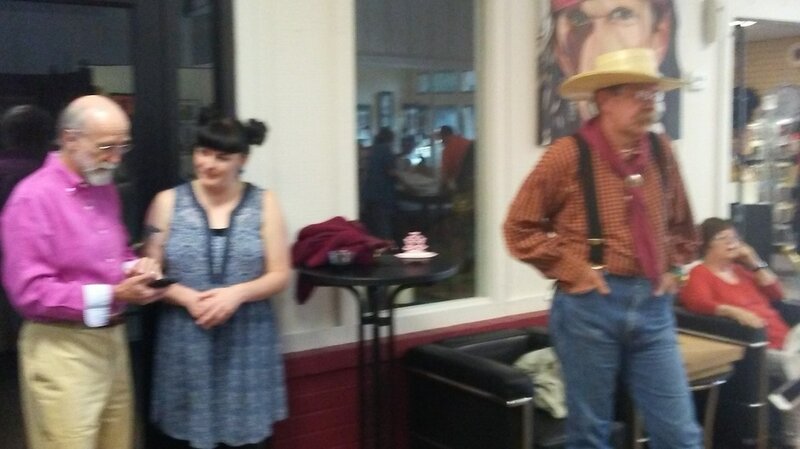 Along with hosting, Venosdel also was tour guide to some of the artists new to Tahlequah. "Getting to know each other is very important and having someone to show them where to paint, since we have so many great places. 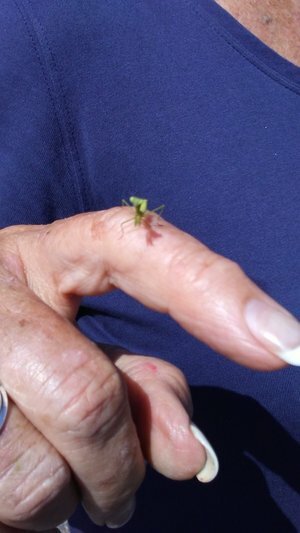 We had five who were totally new to Tahlequah and just could not believe the beauty of our town and the area," she said. "This was great for the town as it tapped into a great resource of new people who will totally take a look at our town with fresh eyes and wonder and record the history of our town for many years to come." 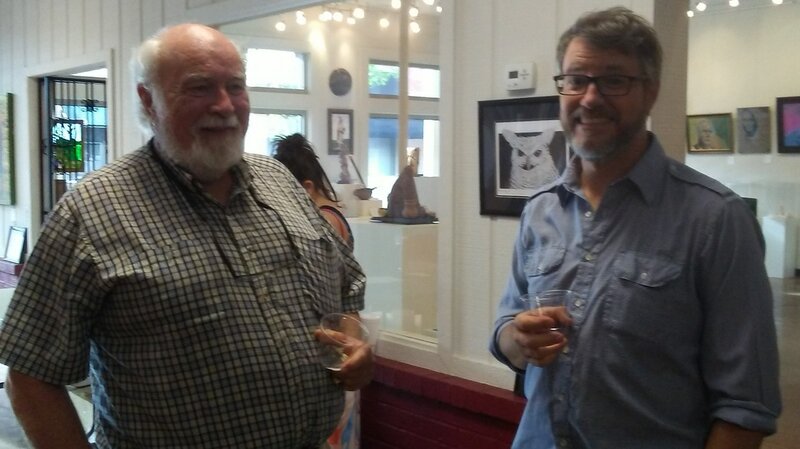 These same artists now have paintings of our town that may end up in Plein Air categories in art shows and then the word about Tahlequah will be extended beyond just the original group who participated, said Venosdel. "This is a great advertising strategy from the back door as it were," she added. "These artists will definitely be back and bring friends." 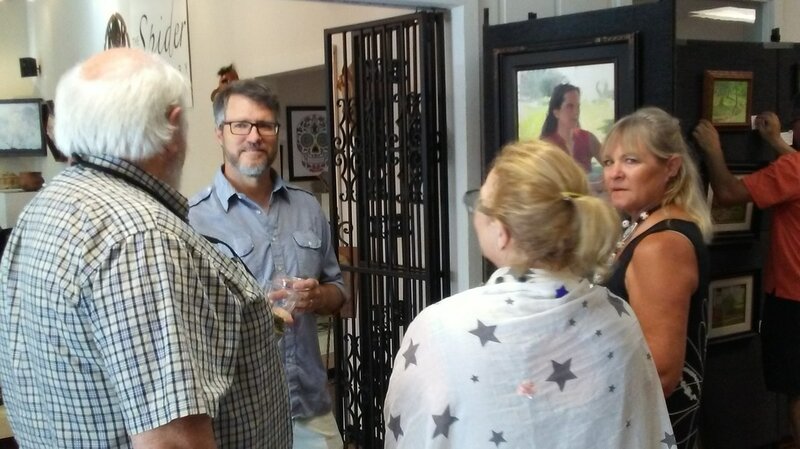 Nationally award-winning Plein Air painter John Lasater, from Siloam Springs, and one of the judges for the inaugural Plein Air Red Fern 2017, paints celebrity Jennifer Loran, host of television show O Si Yo: Voice of the Cherokee People, as artists watch, from left, Britt Morgan, Diane Goldschmidt and Diana Robinson.